Jessica and I checked another item off our bucket list last night; we went to see Madame Butterfly at The Metropolitan Opera. A good helping of culture is always important for a well-rounded individual and we had a healthy portion. 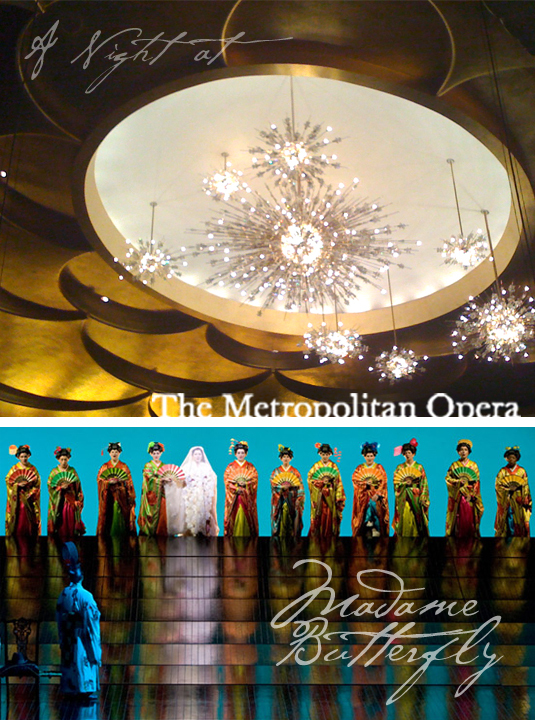 If you have ever been to The Metropolitan Opera House in New York you know just how stunning the interior is. Seeing as the one photo I snapped with my phone was nearly wrestled out of my hands by a reprimanding usher, I can only attempt to do it justice with words. All of the light fixtures are crystal. And I'm not only talking about the gigantic atomic-like bursts of rainbow and gold that masquerade as chandeliers, even the tiny little sconces that line the aisles are festooned with Swarovski. Four tiers of crimson and gold balconies command respect, and the clientele give it. The almost pitch black theater was silent, not that it needed to be considering the singers had some serious pipes. Even us in the quasi-cheap seats didn't miss an Italian syllable (God bless the donor who made possible the tiny screen that offered up english subtitles). The only negative about the venue was not the opera house's fault, but Jessica's curse. We sat behind the disrespectful young lovebirds while the average theater goer was a conscientious mid-50. Jessica's curse is like many others. My mother has the tendency to be mistaken for a saleswoman. My friend Alex has complete strangers share their life stories at the most inopportune times. And my sister attracts rude patrons. As she so eloquently put it after the second intermission, "Maybe he'll stop mouthing her neck and watch the final act." The opera itself was an "experience". We've seen many a Broadway musical but an opera is a whole other beast. Every emotion is dialed up to 10 and the minimalistic scenery accentuated to the drama. The entire stage was sloped so that downstage was a horizontal window opening to an ambiguous horizon, glowing with a coordinating color to match the scene's mood or time of day. Almost like chromotherepy for a crowd. The rice paper screens that slid across stage were positioned to give the illusion of an interior without the distraction of a confining structure. The black clothed and veiled chorus carried lanterns and paper birds to create a beautiful ballet of movement and light. Rose petals fell from the 4 story stage ceiling and were illuminated by a magenta glow. One thing I did discover was that my college lighting design professor was correct, I can no longer watch a production without analyzing the color and direction of the lighting. The performance was beautiful, the story moving and the evening enlightening. Only after the final curtain did we realize Miss Saigon was based on Puccini's opera. Now to check another item off the list! Every year I like to make little goodies for all to enjoy. Last year I went all out and made Glogg, Cranberry Vodka, Spiced Nuts, and an assortment of goodies (ginger cookies, the famous raspberry bars, chocolate/espresso cookie, and peppermint bark). This year my feet were dragging and I wasn't very inspired. I finally found some time to catch up on the blogs I follow and I was inspired! 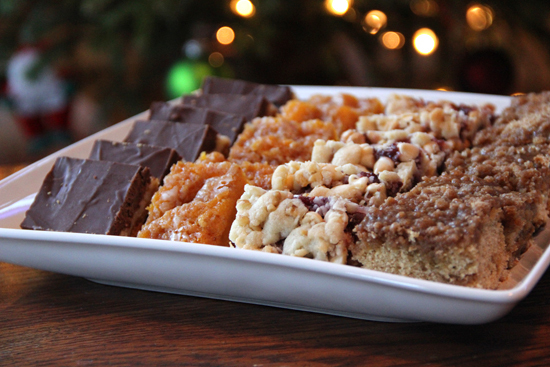 I found so many great treats to try but the standout was an Eggnog Breakfast Crumble Cake. Don't let the word breakfast fool you. This treat is good all day long. 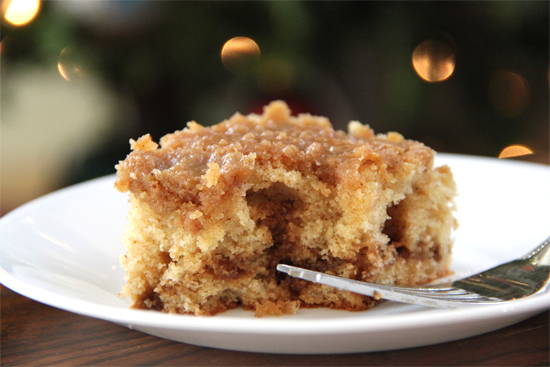 This crumble cake is moist, sweet, and is great with a hot cup of coffee. Perfect for the holidays! IT'S A SUCCESS! Matt being the beer lover that he is decided to take his dad's old beer making equipment and put it to good use. I cheer with excitement because Matt's first attempt at making beer ended up all over the basement floor about 2 years ago (my gift to him). Needless to say we were both unhappy. His Brother and Sister-In-Law very nicely gave him a second chance by giving him the ingredients to create his brew again last Christmas. It only took him about a year to muster up the courage and do it again. Alas, a Success! It is a refreshing Belgian White summer beer (I know wrong season) and the best part is it tastes like beer! Now that he is 1-1, he is looking to improve his record. I am sure we will be seeing more from this lad shortly! I see Brown Ales and Porters in the near future. 1. The Black Ant Belgian White requires a spice potion of ground coriander and dried orange peel steeped in vodka. This sits in a fashionable mason jar until it's pitched in at bottling time. 2. Flaked oats are placed inside cheese cloth (or muslin bags if you've got them) and boiled in water to begin the cooking process. 3. The fermented brew after several weeks isn't much to look at; but, once the barrel is opened, the aroma of wheat and hops fills the air. 4. Siphon the desirable liquids from the fermenting bucket into a secondary bucket fashioned with a spigot for an easy bottling process. 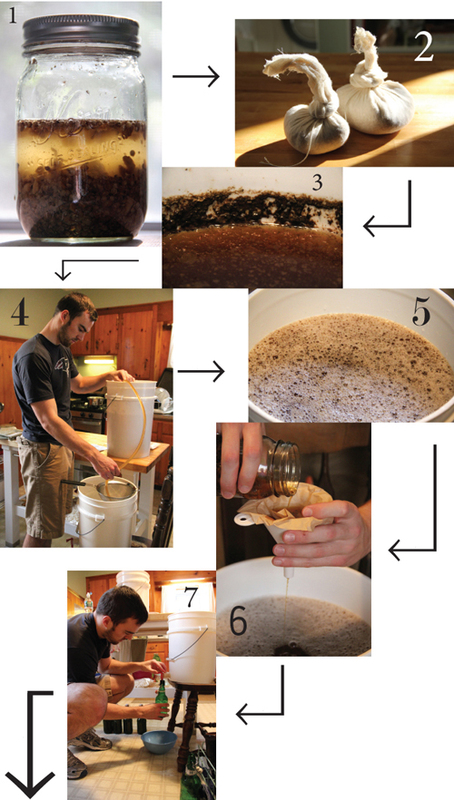 Strain through a sieve to rid the superfluous solids created during the fermenting process. 5. The second bucket assures that no unwanted dregs will be lurking within the individual bottles. 6. Using a coffee filter and small funnel, add the liquid portion of the spice potion and the priming sugar to the bucket. 7. 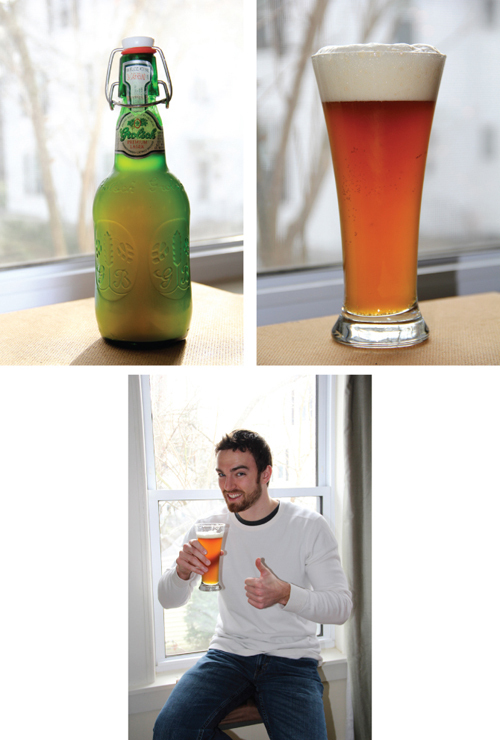 Crouch down, and pour each beer one by one with a big smile on your face! My lovely rental home has this great built-in desk area with a lot of storage. Unfortunately, I have a lot of loose papers that I need and don't want to forget about. 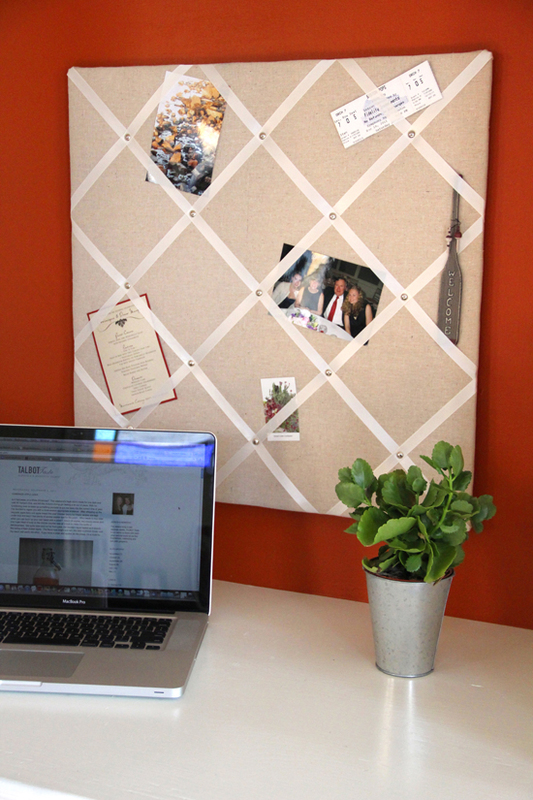 The solution is a pinboard; but, the problem is they are kind of expensive. 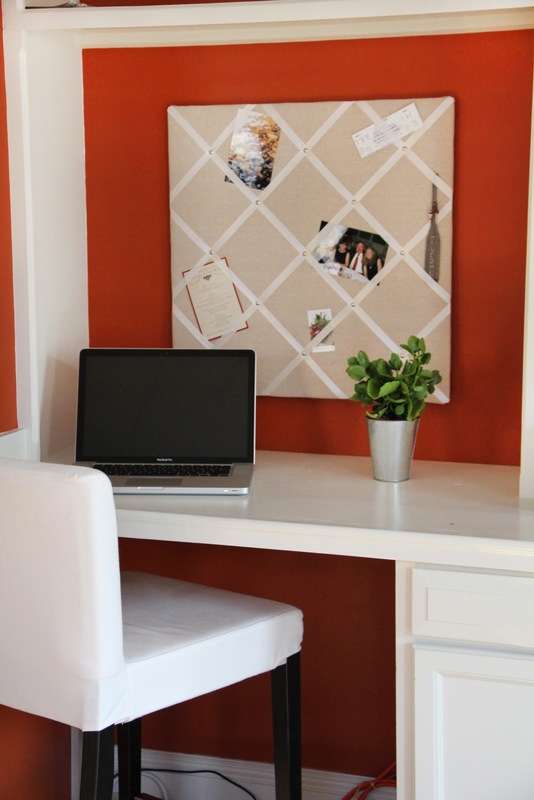 I was really drawn to the Pottery Barn Daily System White Pinboard. I like the clean look of the white and linen but I did not like the price tag. Those who know me know that I will sometimes find an item in a store and comment on how I could make that item and for cheaper. I may be able to make the item but it doesn't mean I want to invest the time and effort to learn and make something. This time I did! This time, I said, "I can make that and for cheaper." I gathered up all my materials and, because I was making it, geared it towards my needs and my aesthetic. For instance, I bought wood for a frame, and as I was making it, realized it would look a lot better without the wood... one of the beauties of designing and creating something for yourself. The end result is what I consider a very clean and simple pinboard. I am now happily more organized and not staring at an orange wall! You can do this too! Below are the materials I used and how I went about creating the pinboard. Take the piece of wood and cover it with the matting. Staple it behind the board about 2" from the edge all the way around. Be sure you get a board that is thick enough that the staples won't go through the other side (my mistake but survived it). Then take your fabric and wrap it over the board/matting. Staple it on the back to secure it as you did with the matting. Next, measure out your ribbon and create a pattern of your choosing on the board. Once you have laid out the pattern which should be woven (this keeps the items in place when using the pinboard) put one ribbon on at a time and staple it on the back to secure it. Be sure to evenly space out all the ribbons by measuring each ribbon you add on. Also make sure the ribbon is tight so it can hold up items. Once all the ribbons are on you can keep it as is or add the furniture tacks for some extra glam! Ever since receiving my ice cream maker this summer I've been itching to try new and unique flavors. Being fall and all I thought it would only be appropriate to seek out a Pumpkin Ice Cream. 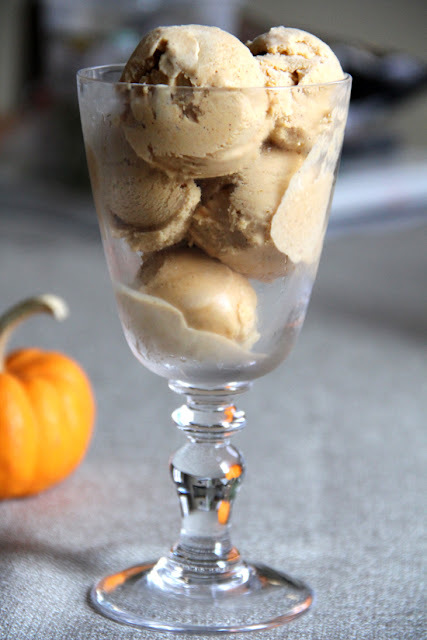 My search for a pumpkin flavored ice cream led me to the David Lebowitz website. Unfortunately, I am a little lazy and didn't follow the recipe exactly. I didn't bother going through the trouble of purchasing and grinding my own fresh spices. I just used good old McCormick Spices I had on hand. I also didn't create my own pumpkin puree. I just used the reliable Libby's. Gotta love when the tricky stuff is already done for you... why put yourself through the trouble? Am I right? Any who, the results were great! The creamy ice cream tastes like cold pumpkin pie minus the crust. However, if you are craving that crunch all you have to do is sprinkle on some graham crackers or some nuts. If you are a pumpkin lover I highly recommend this delectable treat. 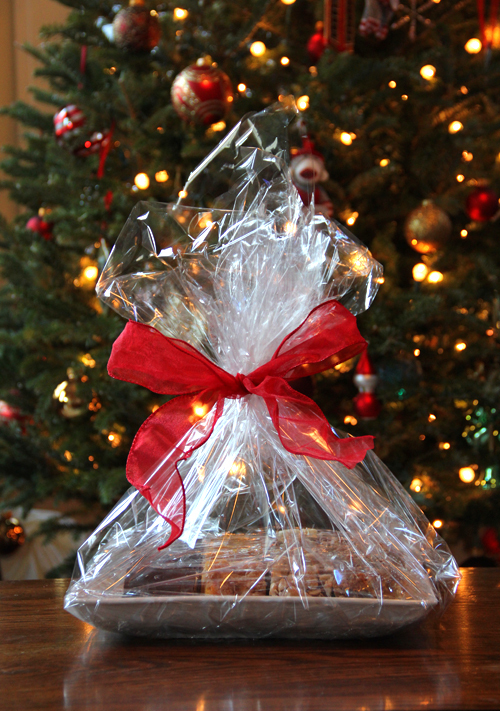 It's a great idea for the holidays and you can make it ahead of time!